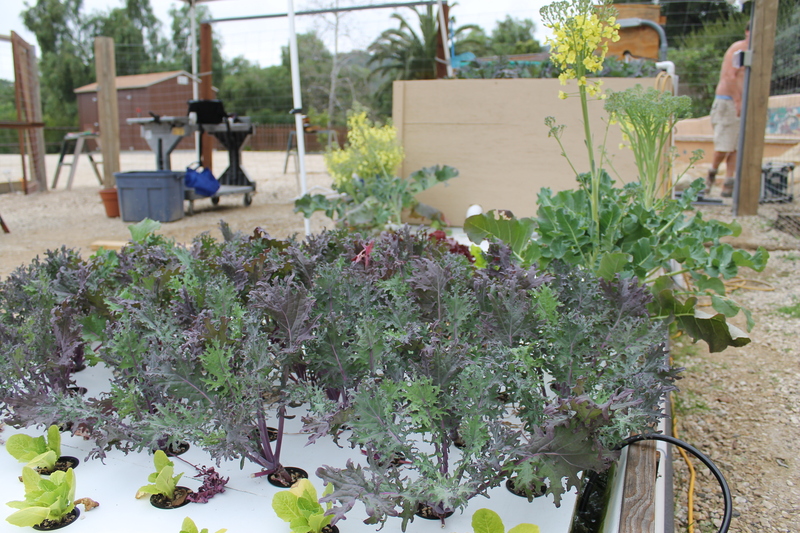 After a few months of planning, designing, and building, Santa Barbara Aquaponics is taking shape. We still have a lot to do but our fish tank, media bed, and trough are in place and we’ve planted our first 150 seeds. The water is flowing, mosquito fish are in place and we should be getting catfish next week, which will be our ‘engine’ for growing our aquaponics produce. 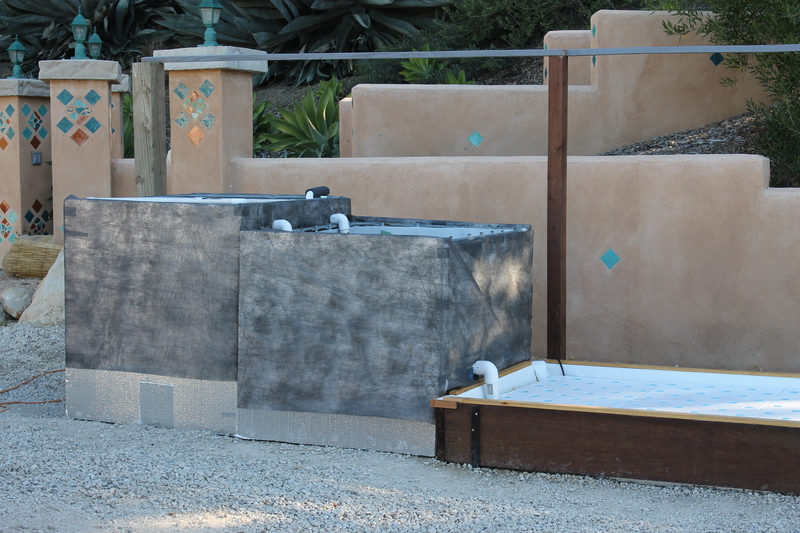 We look forward to learning from our small demonstration system, which blends the efficiencies of commercial systems into a footprint small enough to fit into a backyard. Stay tuned and we will let you all know when we are going to have our first tour, where we can fill you in on all the details of what we’re building, why we won’t be selling fish, and how we can help you follow your passion. This was our First Demo, rather spur of the moment. We managed to get together some flyers and cards for handouts. The response was very encouraging for the short time we was there. The people we met really inspired us. Aquaponics is a combination of aquaculture and hydroponics. 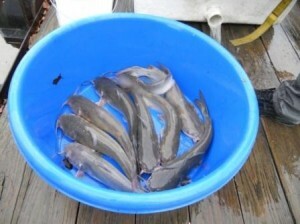 Fish and crops are raised in a symbiotic relationship with one another. 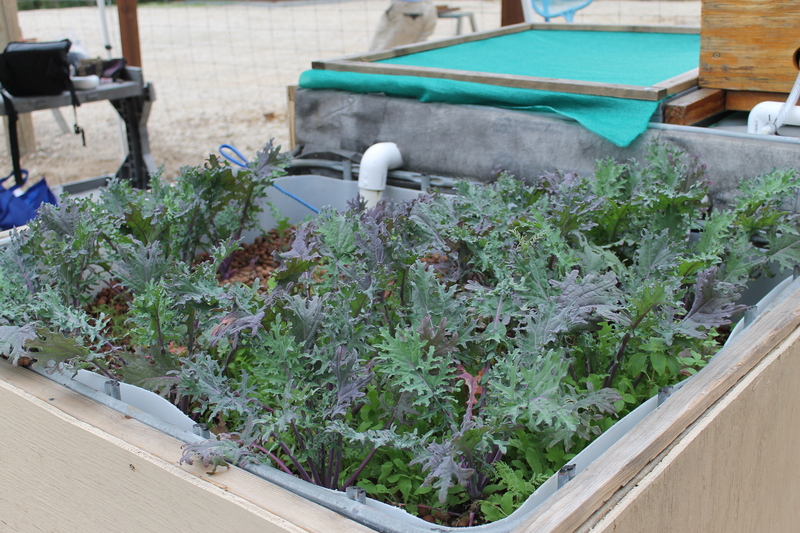 Aquaponics systems mimic natural systems. Water from the fish tank is filtered by the plants. Fish waste, algae, and decomposing fish food (which would prove toxic to the fish ) is used by the growing plants as liquid fertilizer. 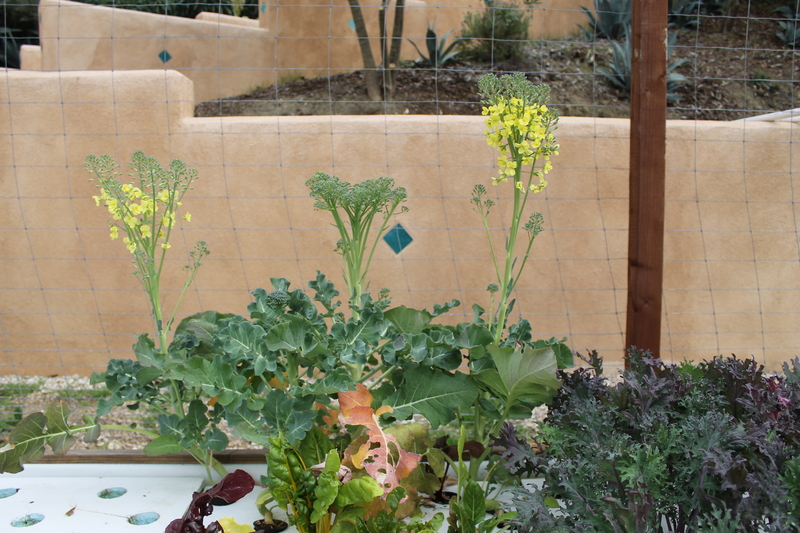 Aquaponics systems, done well, can save money on fertilizers, compost and water, as well as lessen the burden on the world’s oceans and depleted fish populations. “Chinampas” were built by the Aztecs in Mexico City. These were known as the floating gardens and had high crop yields. Chinampas were built as island plots or rafts in the lakes surrounding the city and fertilized with nutrient-rich lake water and mud. As the plants on the rafts grew, their roots would dangle in the water. In China, some farmers grew aquaponically, using ducks, finfish, catfish, and raising rice and vegetables in a flow-through system. In Peru, geese were used instead of ducks. 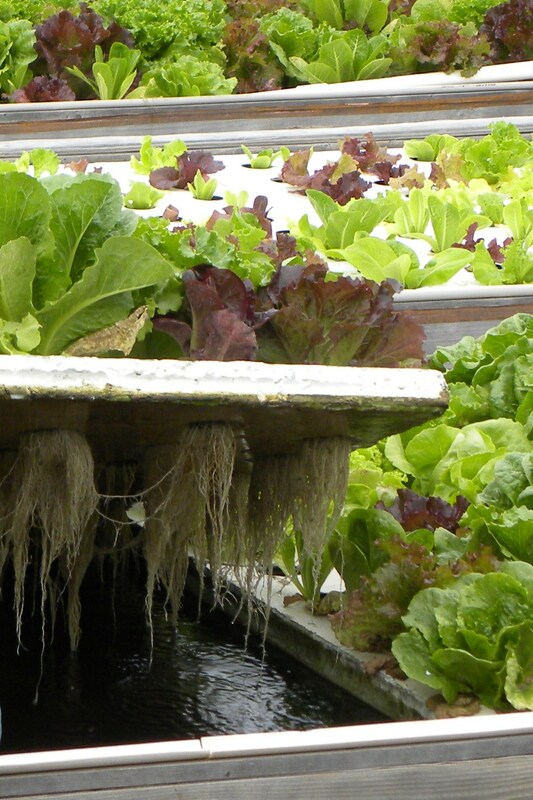 The hanging Gardens of Babylon are now believed to be an example of Aquaponic farming. 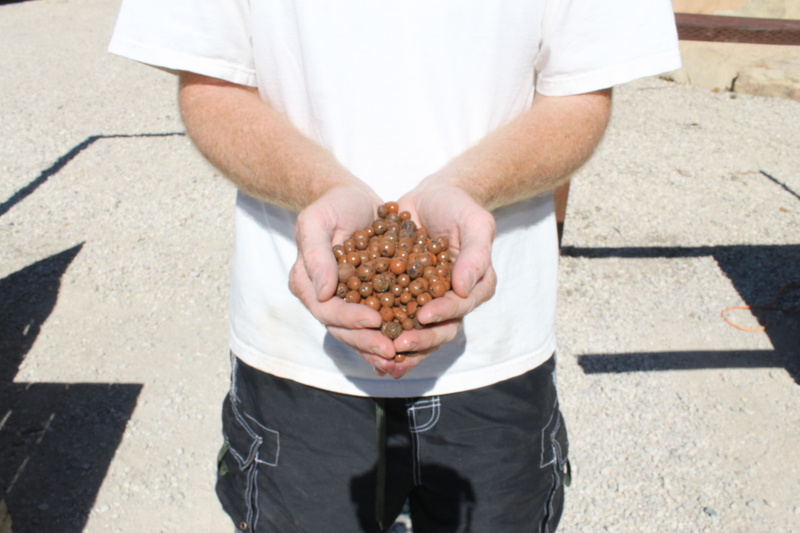 Whether you’re doing a commercial Aquaponic farming venture or you just want to put something together in your own back yard, you will be richly rewarded with this fascinating subject. Enjoy!